Two years ago, I read Robert Whitaker’s book Anatomy of an Epidemic. Little did I know then that I would get to work with him on the issues that unite us. Since Autumn of 2018, I have been working on the Swedish site which now joins the other global affiliated sites: Mad in America Hispanohablante, Mad in Asia Pacific, Mad in Brasil, Mad in Finland and Mad in the UK. 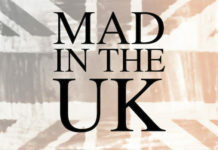 It is with great pleasure that I announce that Mad in Sweden launches today, March 16th, 2019. 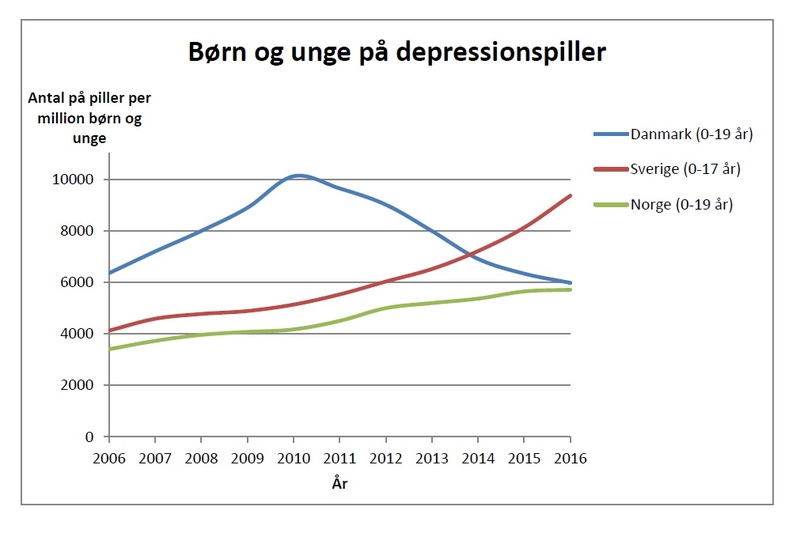 The number of people in Sweden experiencing mental ill-health has increased dramatically in the last couple of years. Society’s efforts to address mental health are often characterized by great legal uncertainty and dominated by a biomedical view of human distress. Many feel that this road will, ultimately, lead to more distress and not meet society’s needs. 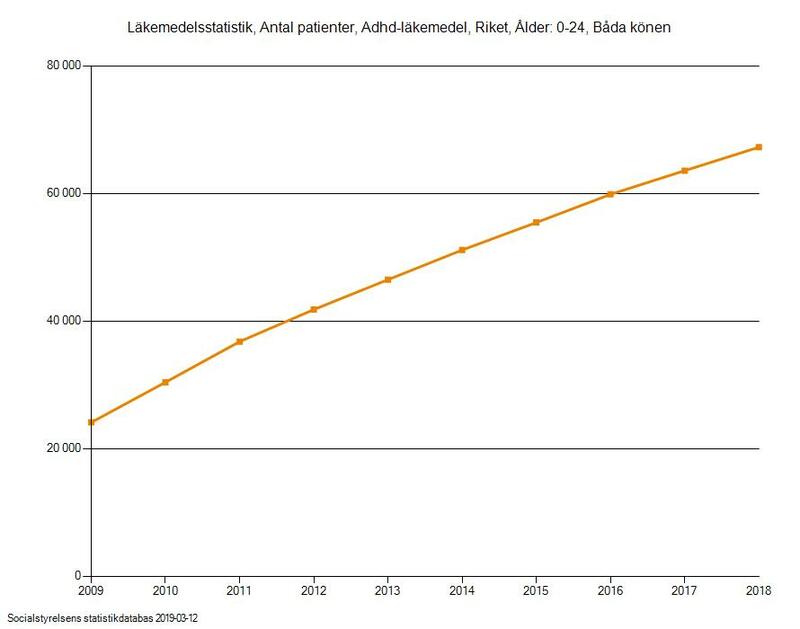 While the National Board of Health predicts continuing increases in both psychiatric diagnosis and prescription of psychiatric drugs, the diagnosed ‘mental illness’ among Swedish children and adolescents also tends to be prolonged. According to the National Board of Health’s report, “The development of mental illness among children and young adults,” those children and young people who are diagnosed with depression or anxiety disorder, and those who are cared for in specialized mental care, end up with long-term mental illness and continuing needs for psychiatric care and psychiatric drug treatment. Even the risk of suicide attempts and suicide is significantly higher for this group of children and young people than for the rest of the population. Although alternatives to both psychiatric diagnosing and the often inevitable psychiatric medication exist, these are rarely mentioned in the public narrative. Thus the vulnerability and social exclusion of the children and young people is reinforced along with the unsustainable influence of the biomedical view of human distress and suffering. What the large variations in both psychiatric diagnosis and prescription of psychiatric drugs really result from is a matter for speculation. 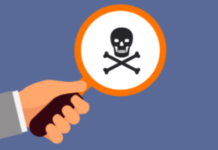 Regardless of any causal relationships, these phenomena still leave us in doubt as to the value to society of increased diagnosing and prescribing. In December of 2017, the Swedish National Board of Health published its new national guidelines for treatment of depression and anxiety disorders. 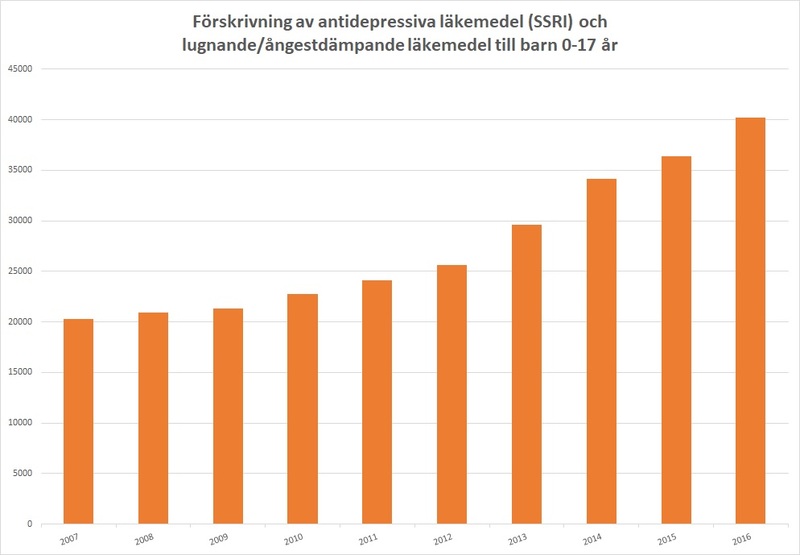 In these guidelines, which were widely criticized by a number of referral bodies, psychotropic drugs have a very prominent role in the treatment of depression and anxiety disorders.7 Of the Swedish National Board of Health’s recommendations, very little indicates that any positive change will occur in the near future concerning mental health practice in the country. In addition to the symptom-based and pharmacologically oriented guidelines, there are also large gaps in knowledge regarding psychiatric drugs and their side effects within public health care. Information for patients is often nonexistent and the prescribing is often done without any plan for follow-up, side-effect reporting or withdrawal. In the case of tapering, there are huge gaps in knowledge, which increases the risk of exposing patients to very difficult and sometimes life-threatening withdrawal symptoms. Looking at the current state of knowledge and the practice that this generates, we can only note from the above that much remains to be done to enable us to find more patient-safe and sustainable approaches in our response to mental and emotional suffering in Sweden. With Mad in Sweden we wish to contribute to this change by bringing forward alternative perspectives to the currently dominating biomedical paradigm of mental health, and to hopefully influence unsustainable mental health practice in Sweden. 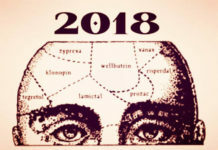 Mad in Sweden will be administrated in collaboration with FAP – Föreningen Alternativ till Psykofarmaka (The Association Alternatives to Psychotropics), a national politically and religiously independent non-profit association, whose mission is to contribute to improved public health in Sweden. It is an honor for me, both as chairman of FAP and as responsible publisher/editor-in-chief of Mad in Sweden, to be part of a global network of people who, together, want to reform society’s efforts in the mental health arena. The need for alternative perspectives to today’s biomedical and pharmacologically oriented paradigm of mental health has never been greater. As the United Nations Special Rapporteur on the right to health, Dainius Puras, points out in his 2017 report: “The world needs a revolution in mental health care.”8 9 Mad in Sweden wishes to contribute to the debate and be part of that revolution. Lasse Mattila has a Bachelor of Science in Social Work and over 20 years of experience working with vulnerable children and adolescents. Lasse is the publisher/editor-in-chief of Mad in Sweden and chairman of Föreningen Alternativ till psykofarma (The Association Alternatives to Psychotropics) in Sweden. Lasse, Congratulations on the launch of the MIA Sweden site! 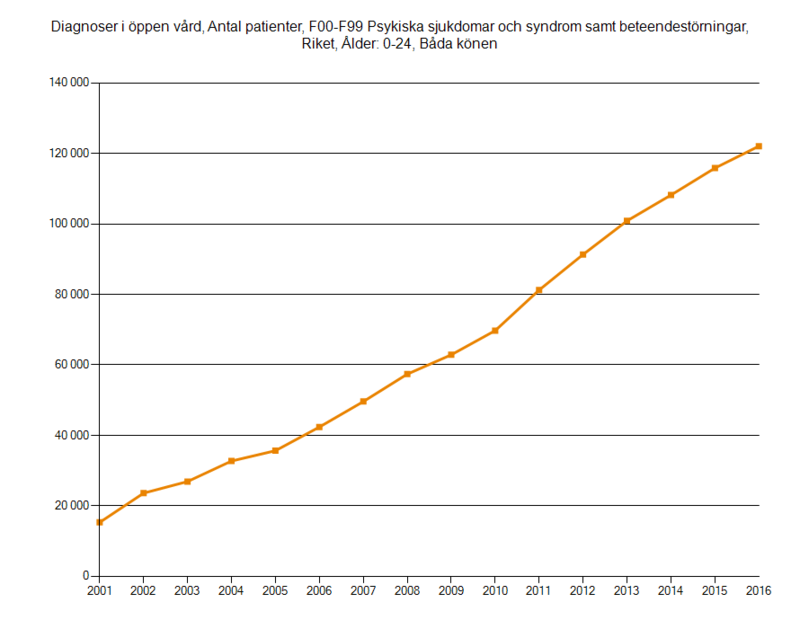 It is heartening to see that “rethinking psychiatry” is alive, well, and expanding in Sweden. Lycka till ! There are a plethora of healing paths far and away from anything bio and psych mainstream which many of us have discovered as we healed from psychiatric debacle. Debating it is an academic exercise and helps no one who is suffering in the trenches. It’s a matter of educating oneself in and applying different ways of thinking which already exist worldwide. Chinese medicine and the study of yin/yang (masculine/feminine) energy balance in the body is universal truth and based exclusively on the nature of being human. Trauma is energy, as is healing, as is love. Nature is about balance for ease in evolution. Social issues will be alleviated as individuals (and, in turn, societies) align with nature. Science will either eventually prove this if it wants to, or some may continue try to keep truth away from the public and keep it to themselves, so they can continue to collect more and more money for more and more “research,” or what have you–maybe a nice big house, exotic travel, high rent office space, state-of-the-art technology, etc. What’s changed is that people are now more awake and savvy, so we’ll get the information one way or another. We don’t really need the ivory tower perspective any longer. It is neither practical nor grounded in reality, and I think most people realize this by now. Life simply is, and it creates as it flows. The evidence is everpresent, we do not need scientific proof of this. Life abounds, it is inherently abundant clearly, as we hear, see, feel, taste, and/or smell on a daily basis. Experience is the teacher and guide, unique to each of us. I wish you well in your efforts Mr. Mattila. Will Mad In Sweden subject all comments to pre-screening like MITUK?